Women and girls – including those who identify as women and non-binary individuals – are invited to register at www.processions.co.uk to take part in this once-in-a-lifetime living artwork which will celebrate a historic moment for gender equality and create a dramatic portrait of women in the 21st century. On 10th June 2018, participants in Cardiff will walk together in their tens of thousands. Given green, white or violet to wear, to represent the colours of the suffrage movement and standing for “Give Women Votes”, they will together appear as a vast river of colour flowing through the city streets. At the heart of PROCESSIONS Cardiff will be specially created banners, echoing those carried by suffrage campaigners. Registration opens today, International Women’s Day (8th March), for PROCESSIONS, one of the UK’s largest ever mass participation artworks, which will take place simultaneously across the four UK capitals on Sunday 10th June 2018. 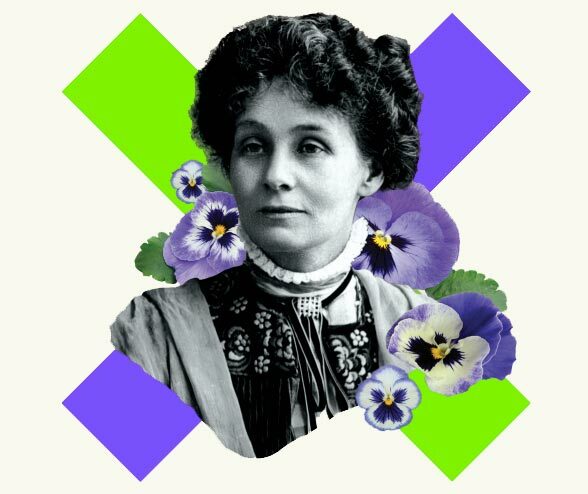 PROCESSIONS is produced by Artichoke and commissioned by 14-18 NOW, the UK’s arts programme for the First World War centenary, and will mark one hundred years since the first British women won the right to vote. 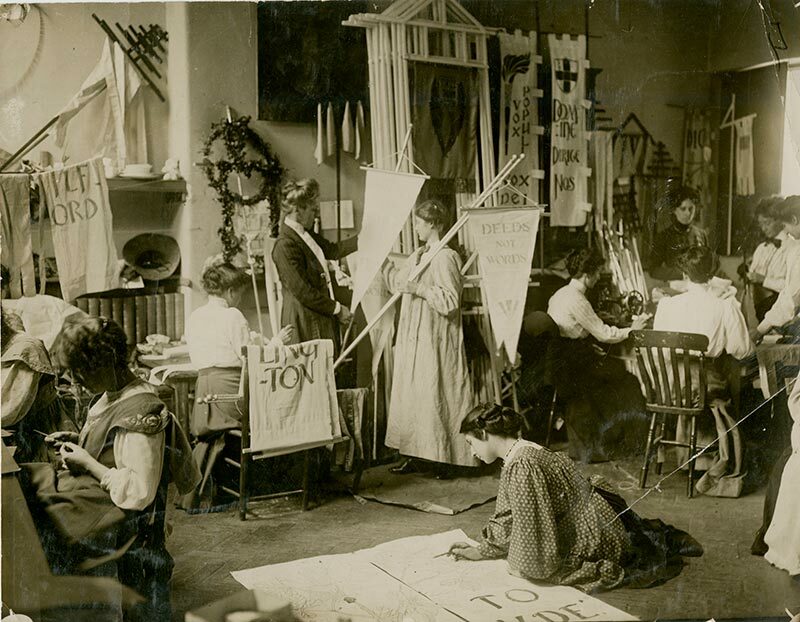 In the months leading up to PROCESSIONS Cardiff, participants are invited to take part in a nationwide creative programme of banner-making workshops, or to create banners at home using a toolkit designed by contemporary banner-maker Clare Hunter which takes inspiration from a 1909 pamphlet by suffragette artist Mary Lowndes. Artichoke have announced 100 organisations across the UK, including 10 Welsh organisations, who will be working with commissioned female, female-identifying and non-binary artists to create 100 unique banners for PROCESSIONS. Artists will facilitate workshops with a chosen community group or groups to create these expressive artworks, reflecting the hopes and concerns of women today. Participating artists include Rhiannon Williams, Jessica Ackerman and Melanie Miller. 100 Years 100 Banners partners are spread across the breadth of Wales from Carmarthen to LLandudno and Cardiff. They encompass local and national charities and arts organisations, including well-known venues such as Aberystwyth Arts Centre, MOSTYN, Ruthin Craft Centre and Theatr Clwyd. The workshops aim to reach a diverse body of women stretching across all ages, backgrounds, beliefs, geographies and sexualities, with the resulting banners providing a snapshot of women’s experiences today. A number of organisations will be working with groups of women who continue to be disenfranchised in 2018, helping give a voice to women within the criminal justice system, victims of domestic abuse, homeless women, and women seeking refuge or asylum. In Narberth, Span Arts is collaborating with Carmarthen-based artist Nia Lewis, whose work knits, fuses and embroiders textiles to reuse, recycle and extend their life. Peak Cymru, based in the Black Mountains, is working with designer and makers Bettina Reeves and Seren Fenoulhet. They will engage disadvantaged young people aged 16 to 25 from Abergavenny to create a banner which will be used in PROCESSIONS Cardiff. Both Oriel Myrddin Gallery in Carmarthen and MOSTYN based in Llandudno, will be working with local community groups to bring together young women up to the age of 15 with older members of the local communities, to highlight the history of votes for women and to open up conversations and discussions on their varying experiences as women in the 21st century. Theatr Clwyd (Flintshire) will be working with multi-sensory artist Ticky Lowe and theatre groups Company 55, a group for older people and its counterpart Company 25 for young people alongside Portfolio a group of talented young artists to produce a banner for PROCESSIONS Cardiff. Women’s Arts Association (Cardiff) are creating a collaborative design created by local women in the community and women who are working with Oasis, a charity which supports women who are refugees or asylum seekers, helping them to establish themselves within the local community in Cardiff through supper clubs, language classes and cycling. The project has been made possible with support from Arts Council Wales and Cardiff Council’s Cultural Projects Scheme. For more details visit www.procession.co.uk.